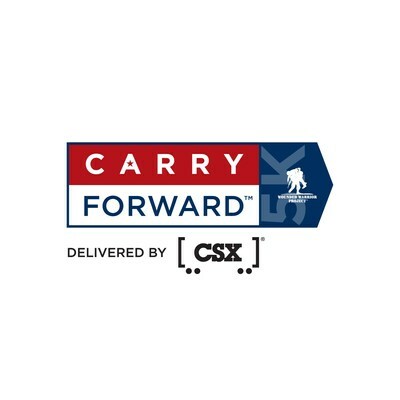 JACKSONVILLE, Fla., Nov. 6, 2018 /PRNewswire/ -- Country star Craig Campbell will sing the national anthem at Carry Forward™, delivered by CSX®, on Saturday, Nov. 10. Carry Forward is a 5K fitness challenge and fundraiser designed to help wounded warriors. The event, organized by Wounded Warrior Project® (WWP), kicks off at 8:30 am on Nov. 10 at WWP headquarters off Belfort Road in Jacksonville. 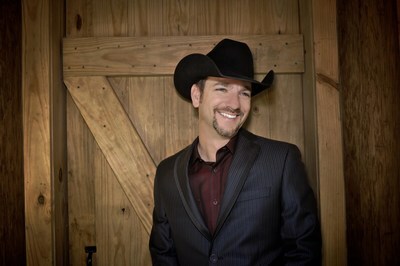 Craig's expressive vocals have earned him a place among country's notable singers. He has become a regular on the Grand Ole Opry, has appeared on NBC's "Today," supported the USO, and sang "American Anthem" at Macy's 2017 Fourth of July Fireworks Spectacular. "It's an honor for me to make a pause right before Veterans Day to let our men and women in uniform know that we're thankful for all they do for us and for the sacrifices they make," said Craig, who's currently touring the U.S. "It's great to see people in communities all across the country taking action to support our veterans and contributing to wounded warriors' healing and thriving." Craig has toured with Luke Bryan in the past. His current solo tour will take him to Ocala after his stop to honor veterans in Jacksonville the morning of Nov. 10. Craig's latest hit single is "See You Try." Carry Forward is an opportunity for anyone, at any fitness level, to help shoulder the physical and emotional weight for warriors – so they're ready to achieve their highest ambition. Individuals or squads can test their limits with three options: flag, fitness, or fierce, depending on the weight they choose to carry. Flag – Participants carry a flag of any size. At least one member of your team is always holding a flag. Fitness – Individuals or teams run or walk with a weight they trade off or continuously carry. Fierce – Teams carry one of their team members throughout the course. To register, visit https://carryforward.woundedwarriorproject.org. You can also participate remotely at http://wwpcarryforward.org/virtual. To learn more about how WWP is transforming the way America's injured veterans are empowered, employed, and engaged in our communities, visit https://www.woundedwarriorproject.org/give-back.